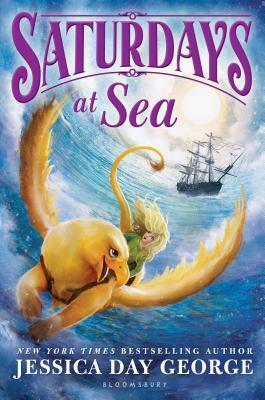 Celie and her family are far away from the Castle in the land of Grath, preparing for Lilah’s betrothal celebrations, and overseeing the construction of a Ship with components from the Castle. The Ship appears to have many of the same magical qualities that the Castle has, but can the Glower family trust that the Ship will protect and guide them, or does the Ship have its own agenda? I adore the entire Glower family, and Celie is just as spunky and adventurous as always. I was interested to see this new side of the Castle-magic infused into the Ship, and the magical development in the story is wonderful! The plot drags a little bit at first, with lots of betrothal parties and parades, but once the Ship is at sea the adventure truly begins. I really loved the mystery of the lost unicorns, and how that influenced so many of the characters and their decisions. I was especially interested in the differing reports they received about the history of the unicorns and why they were lost in the first place, which served as some interesting red herrings in the plot. I only wish there were more books in this series! It’s a good ending, but I want more!